Flammable and combustible liquids are found in nearly every workplace. Many chemicals including solvents, acetone, alcohol, cleaners, adhesives, compressed gases, paints, gasoline, and diesel may be flammable or combustible. These hazardous liquids provide the market with many products that we use daily. However, if used or stored improperly, serious fires and death may occur. The article below discusses flammable and combustible liquids, focusing on acetone alcohol handling, and storage practices. Acetone alcohol is highly regulated, which means it must be stored in compliance to federal and state regulations. Acetone alcohol must be kept away from heat, sparks, open flames and other heat sources. 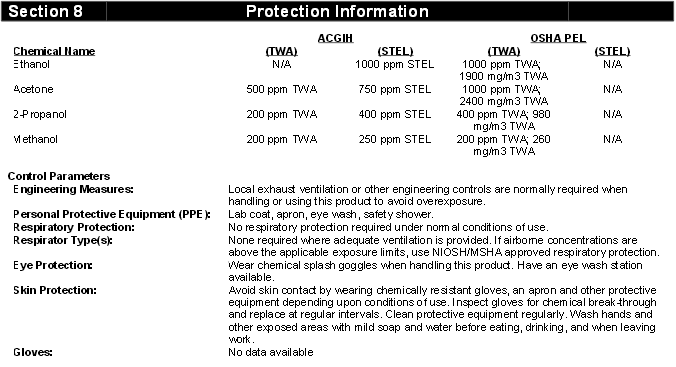 The chemical must be stored in a well-ventilated place, with mechanical ventilation and temperature controls. 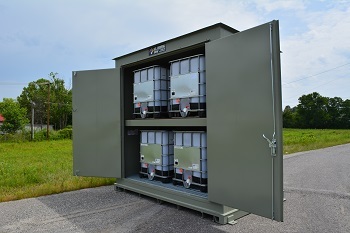 Chemical storage buildings must also be equipped with explosion-proof ventilation, lighting, and electrical components. The container itself must be stored away from oxidizing materials and inside approved flammable containers before storing inside a chemical storage building. Containers must always be grounded before transferring chemicals. In the event of a spill ventilate the contaminated area immediately. 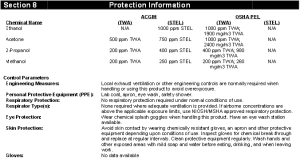 Utilize proper personal protective equipment from Section 8 of the SDS. Prevent the spread of any spill to minimize and human contact with the substance and the environment if safe to do so. Depending on the quantity of the spill additional precautions may be necessary. Dikes and or spill berms may be necessary if the spill can be contained safely. Acetone alcohol can cause serious eye irritation, damage to organs, and is harmful to aquatic life. If exposed contact the nearest Poison Center immediately. When disposing the chemical do so in accordance with all applicable Federal, State and Local regulations. Contact a permitted waste disposer to remain compliant. To learn more about acetone alcohol chemical storage or to receive a free chemical storage consultation contact (800) 233-1480.